William Duncan McInnes, basketball player. Born: 27 October 1945 in Edinburgh. Died: 4 March 2017 in Edinburgh. There are some people who define and even transcend a sport – a Gordon Smith or Willie Bald in Scottish football perhaps or a Ken Scotland or Andy Irvine in rugby – but for Scottish and British basketball Bill McInnes, who died recently from cancer at the age of 71 after a short illness, was so much more. He was a true aristocrat. There could have been no more fitting acknowledgement of that status than the hundreds from all over Britain who attended his funeral at Warriston Crematorium last Wednesday (15 March). His skills were mesmerising as many a player bewildered by his trademark fake behind-the-back pass would testify. In fact when Scotland embarked on a US tour in 1967 even the Americans were going “oo” and “ah”. But that was only one of a range of options in the armoury of the first Scot to be credited with “dunking” the ball. 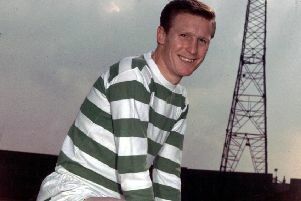 His javelin pass he could unleash the full length of a court to find an unmarked teammate and turn defence into attack and his hook shot with right arm outstretched was classic. But my favourite was his baseline drive which he executed with the balance and grace of a ballet dancer before finishing the move with a reverse lay-up and basket. These talents were much in evidence at Meadowbank Sports Centre, the arena which became his for both his beloved club Boroughmuir and country for almost the whole of the Seventies and where he also worked as assistant manager. Bill amassed a record 49 caps for Great Britain, including those at the 1973 European Pre-Olympic qualifying tournament at Meadowbank - and 127 Scottish caps including that in 1970 when Scotland played England before a full-house 2000 crowd to mark the official opening of the centre. British captain on almost every occaasion and leading GB scorer in the 1968 Olympic qualifying tournament with 119 points from seven games, Bill also played in the 1972 and 1976 qualifiers, totalling 362 points in all. Remarkably this 6ft 4in proud Scot became “English” Player of the Year in 1971, the first time the EBA made the award. The following year Boroughmuir won the British Rose Bowl team championship and were in the midst of a run of nine consecutive Scottish Cup wins and a similar Scottish League monopoly. Other Scots who were bigger or stronger would come along with their own claims to fame such as Iain Maclean, the former Scotland and Rocks captain or Robert Archibald, the first Scot to make a career in the American NBA, but if Scottish basketball ever gets round to having a Hall of Fame Bill’s name will surely be the first to be inscribed. Though he rocked the establishment when he and four other friends Brian Carmichael, Stuart Capaldi, John Tunnah and Tony Wilson “discovered basketball” and went on to develop a formidable team at a traditional rugby school Bill remained a committed Boroughmuir man, his “second family” as the former Scottish National coach Ken Johnston put it. Running out of competition at school level, the new Boroughmuir club had entered the East of Scotland League and soon became a force at senior level, travelling far and wide to tournaments and even cycling several times a week to the US Air Force base at Kirknewton for an inter-mural league. It was there that Bill, an admirer of the NBA legends Bill Russell and Larry Bird, learned and practised his skills. Bill also proved an able administratior and inventive fund-raiser, even organising a pop concert at the Fountainbridge Palais to help meet the rising costs of their ambitious game programme yet still managing to maintain his own high playing standard. The highlight came when the new club entered the European Cup and drew Spanish champions Real Madrid in the first round, yet they rose to the challenge and secured Murrayfield Ice Rink for the game where a floor had to be specially built and laid. Dave Paterson, who was later to join Bill in both the Boroughmuir and Scotland teams described him in his funeral tribute as a “can-do” person. Secretary of the Boroughmuir club from 1961 and awarded the OBE in the 2000 New Year Honours , Bill took his organisational skills into both his professional and voluntary life. After a year at Jordanhill College he resisted offers to go to the USA and worked for a year as an area youth organiser in Stirling before joining Meadowbank as an assistant manager, moving to Wester Hailes Education Centre to become centre manager in 1978, a post he remained in till he retired in 2007. As a volunteer Bill served as chair of Scottish Basketball, later Basketballscotland, for an unprecedented 18 years from 1990 to 2008 and when Scotland took the difficult decision to become integrated in the new British Federation in order to comply with the international body FIBA’s stipulation on their Olympic participation in London 2012 he embraced the new situation and held the chair until stepping down last year. Ironically he had recently to return as Interim Chair when Roger Moreland resigned and it was Moreland who gave a moving tribute to him on behalf of GBBasketball. Bill was actually born no distance from Meadowbank at Elsie Inglis Hospital, though brought up in Bathgate where his parents Jim and Ella, originally from Montrose, had moved. Bill’s grandfather had been a lighthouse keeper at Ferryden near Montrose and he spent any happy summers revisiting the area and fishing from the rocks. As well as his main sport Bill was an enthusiastic golfer and latterly a member of Ratho Park club where he organised the annual Boroughmuir BC spring outings for many years and thanks to his efforts Aberdour GC continually hosted the annual autumn outing and last year the 50th was celebrated by a dinner at Murrayfield. A warm, generous family man and genial host, especially at barbecues, at their home in Corstophine, Bill is survived by his wife Andrea, a former member of the Red Aces (later Boroughmuir Aces) women’s team, two children, Neil and Beth, and four grandchildren and also his older sister Margaret.